Reddit user malimako discovered what might be the original Twitch TV. 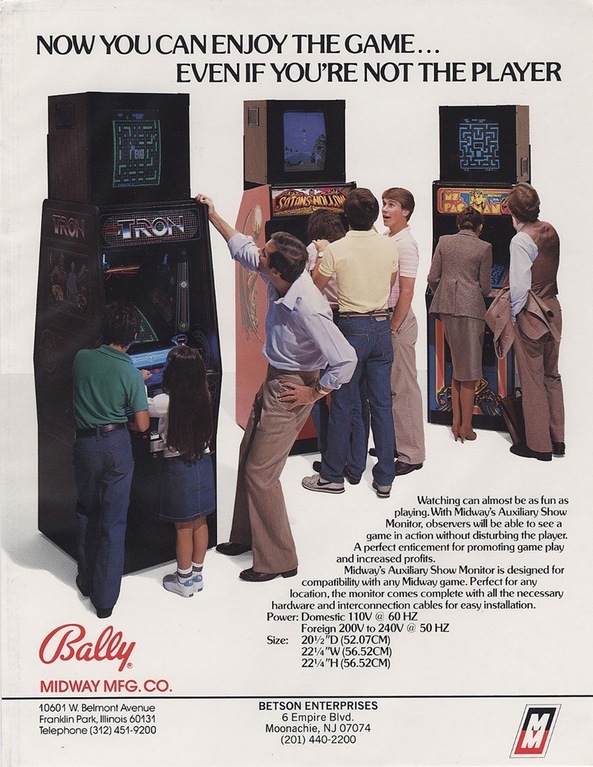 The advertisement from the 1980s shows arcade cabinets with top screens that show the player’s point of view. Midway Games became popular in the 1980s and 1990s for hits including Mortal Kombat, Ms. Pac-Man, Spy Hunter, Tron, Rampage, the Cruis’n series, NFL Blitz, and NBA Jam. They later declared bankruptcy in 2009.